Lock in a great price for Hotel Atrium – rated 9.4 by recent guests! Receptionist was so friendly, nice rooms, amazing breakfast! 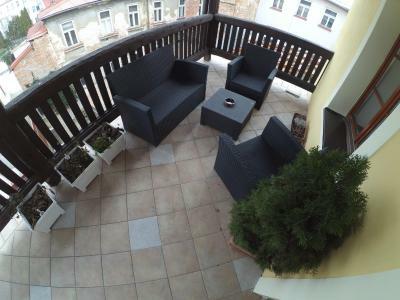 We had stayed one night only, but when going to Jihlava next time, I will choose this hotel once again. Everything was clean, ready for our stay, personnel was very nice and breakfast really great. You totally get what you paid for! Excellent service, I strongly recommend. 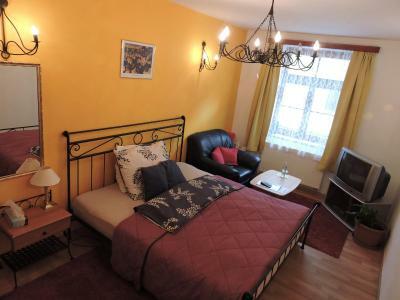 Cosy family hotel with a pleasant atmosphere in walking distance to the downtown. 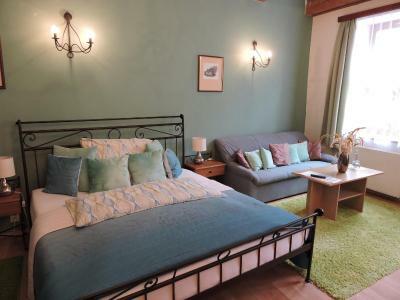 Large room, well equipped with large comfortable bed. 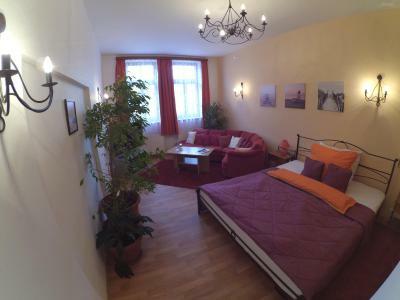 Friendly yet professional service, large room with comfortable bed and bathroom. 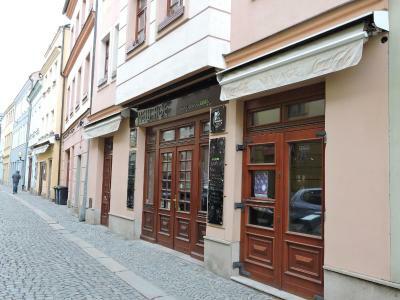 The breakfast is perfect, the location excellent for both business and sightseeing. Convenient location. 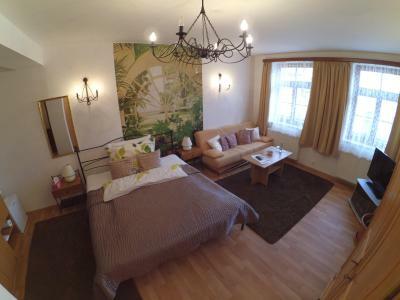 My room really was luxury, it was huge, beautiful, it had a very large bathroom with a bath and a wide range of bath salts, shower gels, candles etc available free of charge. There was a large balcony with a seating area, decorated with flowers. I can definitely imagine spending a romantic couples weekend there. Welcome drink was provided. One of the receptionists was an extremely kind and helpful lady. Decent breakfast, good wifi. We didn't expect to have a mini kitchen in the room, and were happy to find it there. We didn't plan to cook, but traveling with a baby, it's always good to have these facilities. The bed was comfortable. 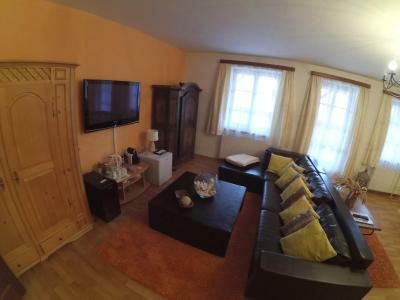 Great room, really big and clean, everything was there. Breakfast was amazing: they had anything you can think off. Lovely little city, which was nice to walk through after a long day in the car. 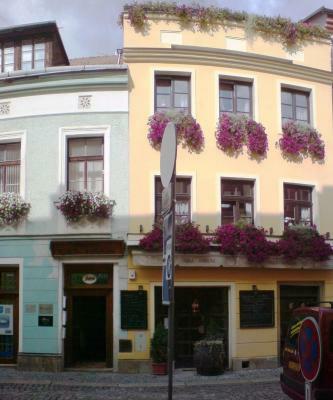 Located in the city center. Amazing breakfast. Large gluten free selection of food. The staff is VERY friendly, the hotel is nicely furnished, the room and the bathroom was huge, wonderful breakfast, very good coffee. Close to the Center, close to the bus station. 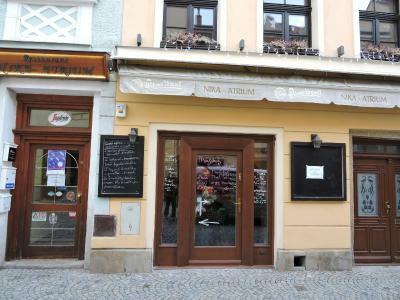 One of our top picks in Jihlava – and a guest favorite. 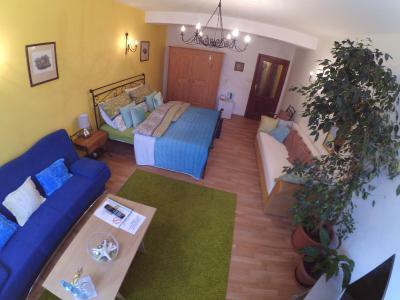 Located just a 5-minute walk from Jihlava’s main square, Hotel Atrium offers bright and comfortable rooms with private bathrooms. 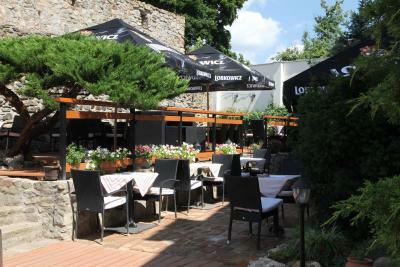 There is a well visited restaurant and a bar. 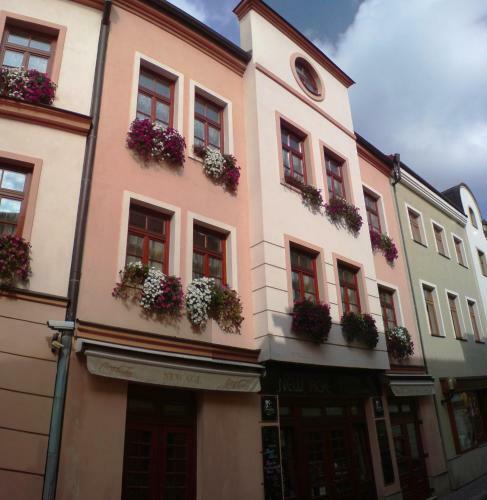 Hotel Atrium is centrally located in this historical Czech town and within minutes guests can walk to the Gustav Mahler House museum and the town’s picturesque main square. The bright rooms at Atrium include large windows, private bathrooms with shower and seating areas with armchairs. 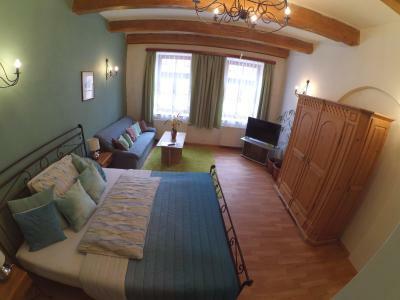 They have modern furniture and are equipped with free Wi-Fi and satellite TV. The cozy restaurant at Atrium hotel is well visited by the locals and here guests can sample a variety of national dishes and drinks. When it is time to leave, the D1 (E50) motorway is just 4.3 mi off Jihlava, while the distance from the house to the Railway Station is only 0.9 mi. 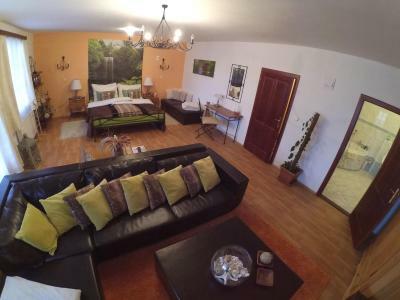 This property also has one of the top-rated locations in Jihlava! Guests are happier about it compared to other properties in the area. 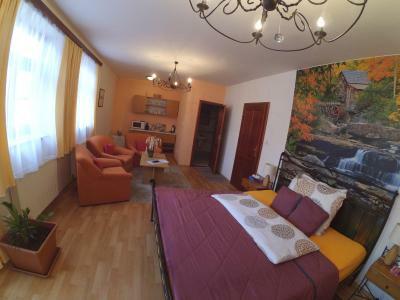 This property is also rated for the best value in Jihlava! Guests are getting more for their money when compared to other properties in this city. This room includes a private bathroom and a seating area with satellite TV. 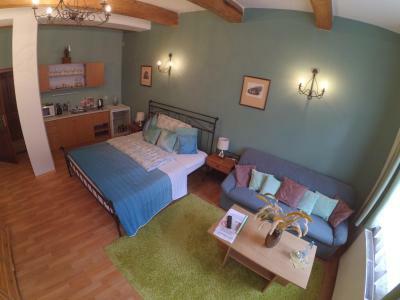 This double room has a terrace and a corner bath. After arrival, please go to the Atrium restaurant. A receptionist will pick you up there. Late check-in after 20:00 is only possible upon prior confirmation by the property. Contact details are stated in the booking confirmation. 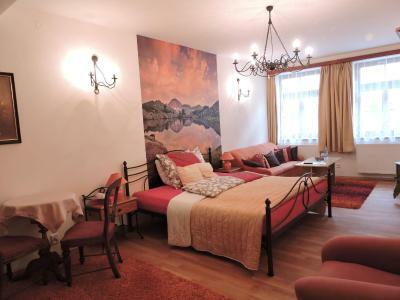 Despite the fact that it is a lovely place, I don't think it should be classified as a four-star. I would definitely expect a four-star hotel to have a 24/7 front desk, which is not the case. Checkin is only possible until 9pm and if you arrive later, you collect your key from the restaurant next door. There is no lift. The shower in my room did not work properly and the staff were unable to fix it during my (2-night) stay. They had forgotten to empty the trash. The big yakuzi like bathtub lacked a water stop, so it could only be used for taking showers, which wasn't that pleasant as the bathtub was open to the surrounding cool air. The building is quite old, and due to the lack of elevator it was quite complicated with a push-car. Nothing. Parking is difficult, but it is a safe city, so you can park the car a few blocks away from the hotel (2/3 minute walk). There's no airconditioning, but you can open two windows. There was no shower gel and soap. Couldn`t catch the wifi. It didn`t even appear on the wifi selection. Very pleasant staff, helpful, nice, friendly. Breakfast was a big choice of salty and sweet. The welcome drink. I wish there was some wine option too, as not many people fancy shot of spirit at 3 o clock in the afternoon. Parking on the street ran out at 7:00, so I had to move the car a couple of blocks. Suggest you arrive before dark and find your spot sooner rather than later. Deluxe memory foam mattress, fine shower, internet and tv -- even a couch to sit upon while watching the tv! Very personable, helpful staff -- a welcome drink upon arrival........AND the most extraordinary variety of breakfast food, ever. 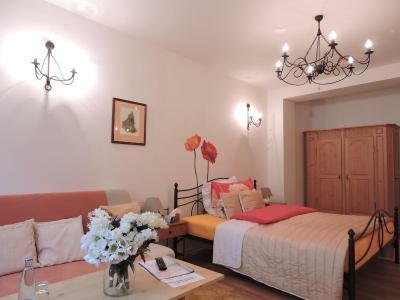 Two blocks from the town square!